HCRY 459 and sister 458 power a westbound road freight near the INCO South Mine at Copper Cliff (Sudbury), Ontario. The date is July 16, 1998. Operations on the Huron Central Railway (HCRY) commenced on July 29, 1997. 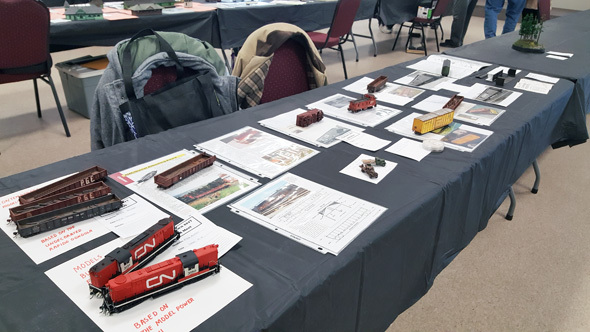 Based on a long term lease of the ex-CP Webbwood Subdivision and a short branch south from McKerrow, the railway was in the business of hauling freight between Sudbury and Sault Ste Marie, Ontario. Local operations were handled by four GP-9 locomotives. 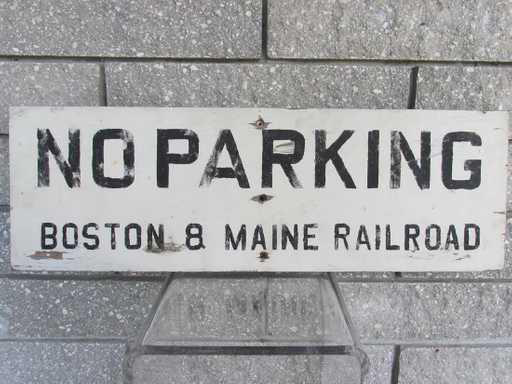 These were all 1955/56 vintage products of EMD, originally assembled either for B&O or C&O. Road assignments, on the other hand, were the exclusive domain of five SD-45E locomotives from the 1966-1969 era which had been produced for Southern Pacific. When I first encountered these units in 1998, they were looking pretty sharp in a relatively new coat of paint. There were, however, a few differences in the way various members of the group were finished. The shade of orange used was not consistent. 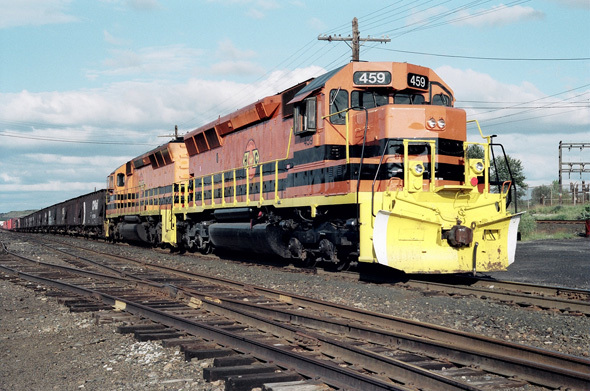 Sharp-eyed observers will note in the above photo that lead unit 459 featured a deeper orange hue, while trailing 458 had a lighter, more yellow, finish. Apparently, the difference depended on whether the paint work was done in Montreal or at the ONR shop in North Bay. Two members of the group were named, and this created a minor difference in the application of the cab-side road numbers. The name appeared in black letters right under the window, while the numbers now were applied in white paint to the upper black stripe. Number 458 was named the City of/Ville de Sudbury, while number 462 was similarly marked for Sault Ste Marie. Beginning in 2002, all of the big SDs were reassigned to other G&W properties. Their road jobs were taken over by ex-CN GP40-2W diesels. Weathered models by Stephen Nichol (the Weatherman). 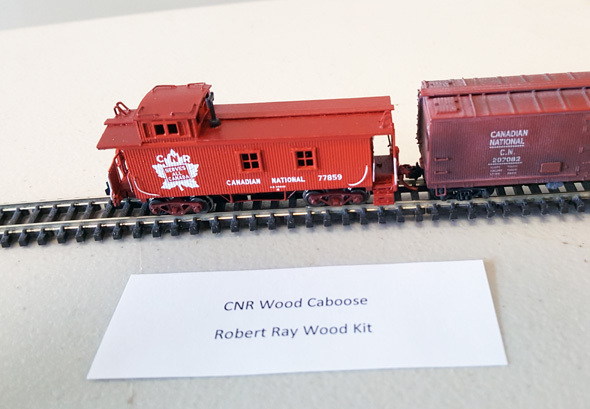 Ray Hoadley's G scale models. Ray gave one of the RPM clinics on Stelco Steel and his models show his interest in steel...Peter Mumby photo. Another look at how steel is carried. Most loads and car attachments had to be scratch-built in G scale. A nicely finished kit by John Riddell. John Spring displayed TH&B structures plus rolling stock. 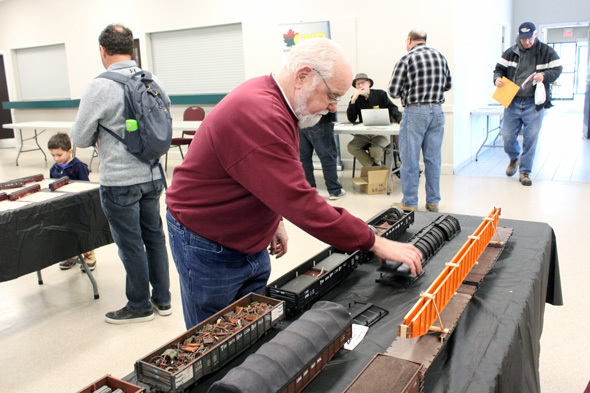 Peter Mumby and I filled a full table with our models. 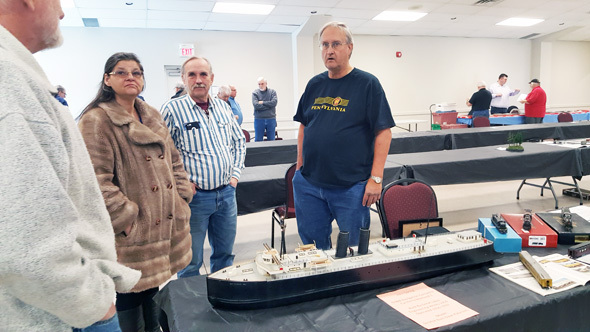 A great lakes car ferry scratch-built by Dave Paterson. 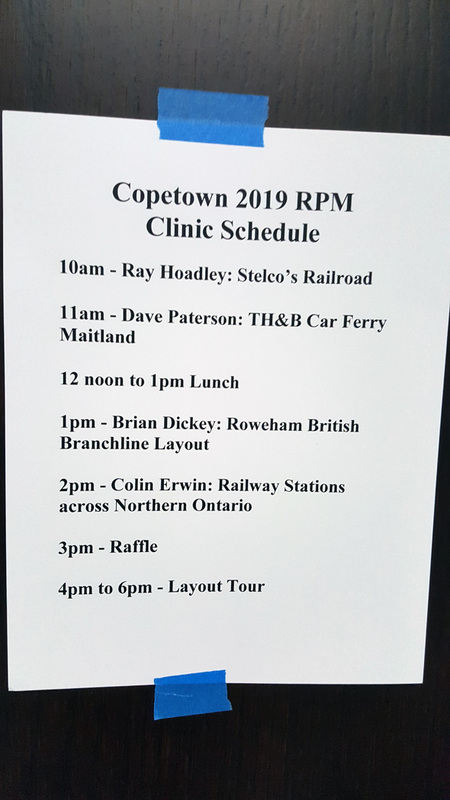 Dave did a clinic on how he built the car ferry. That's Dave in the dark blue t-shirt. 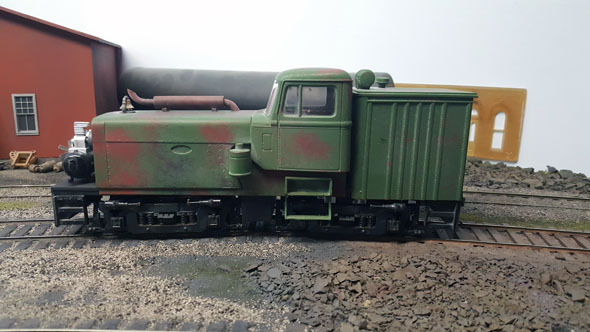 The model is now part of John Springs TH&B layout. That is John in the striped shirt. 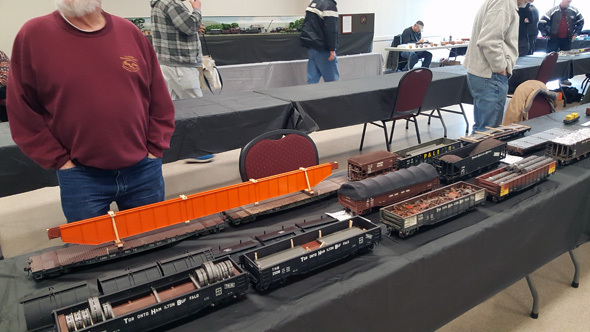 There was a nice large display of N scale models, many built by Fredrick Adlhoch. Another model built by John Riddell. 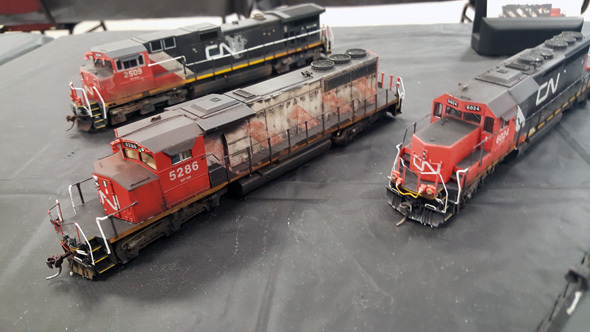 Some of the nice models displayed of the ACR done by Chris Vander Heide. Tempo Trains on the WRD. No that is not a Rapido model, Peter will explain shortly. The next two blogs are quite active and I find interesting...so you might want to check them out. 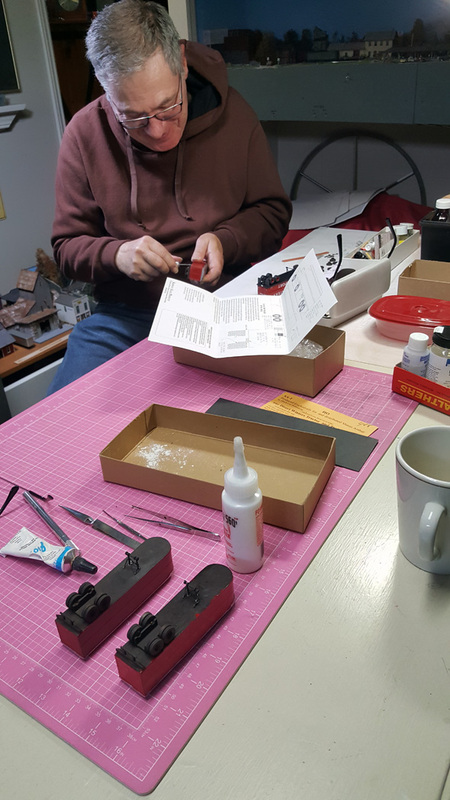 Two weeks ago on our Monday workday Peter is working on his trailer...mine are done and ready for decals. Here are my trailers ready for painting. 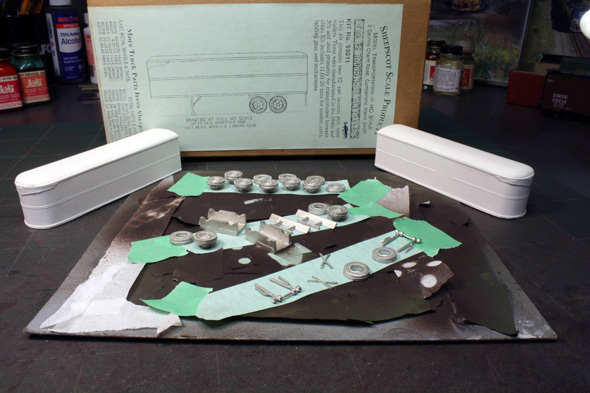 The bodies of these Sheepscot Scale Products are plaster castings. I had a tough go getting a good coat of paint to stick to these trailers. The metal castings are spray-bombed a dark brown colour. One of my friends Terry's creation in O scale. It make a lot of interesting sounds and the horn sound makes one laugh. This was a Monday workshop that Peter and I went visiting instead of building...kind of playing hooky from modeling. 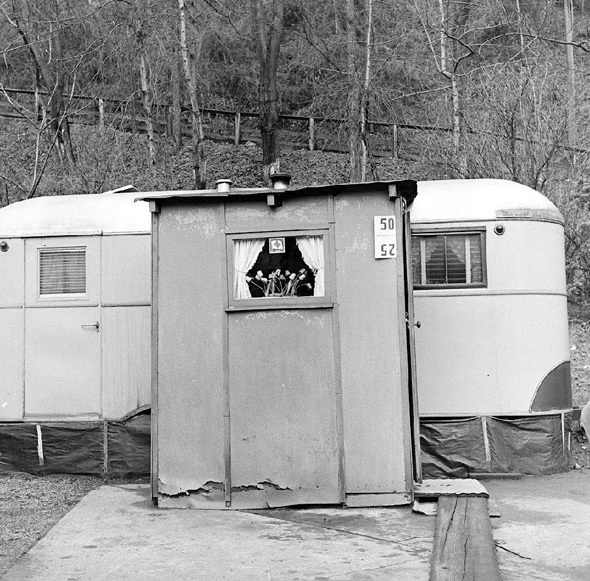 If you need some inspiration for a detailed scene here is a look at a trailer home found in Little Falls, NY in 1945...not sure if I would want to live there but neat to see. 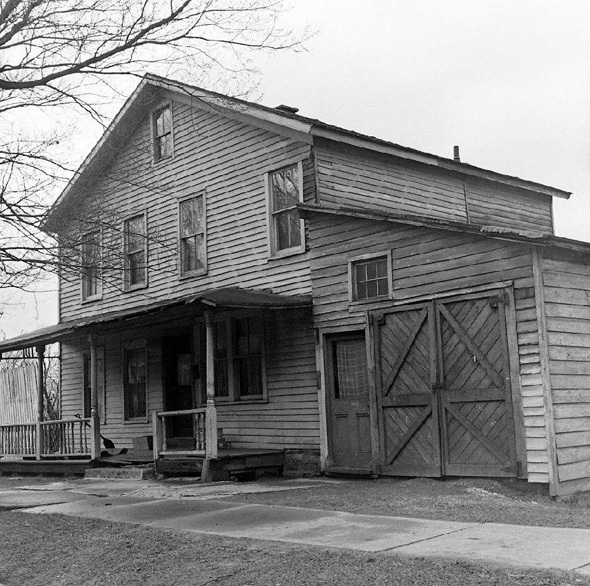 Also in Little Falls, NY during 1945 was this neat looking house one could scratch or kit-bash. Check out that garage. 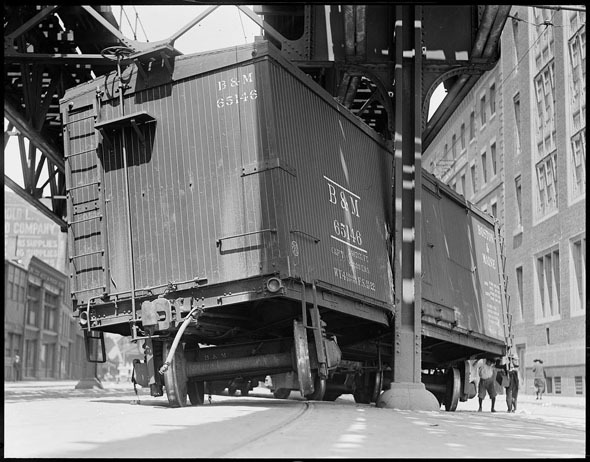 A B&M Whoops on Atlantic Ave., Boston in the 1930's...from the Bruce Douglas collection. I don't recall where this photo came from. 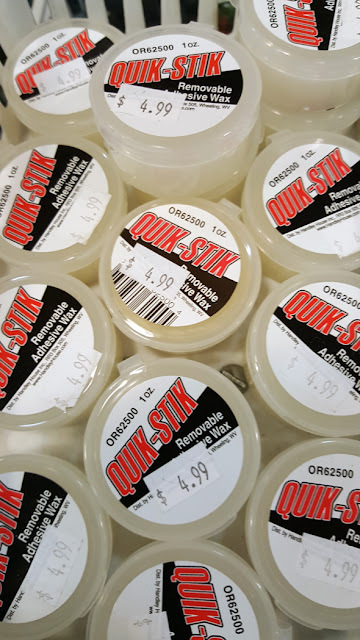 It was one sent to me and filed in my blog post grouping. 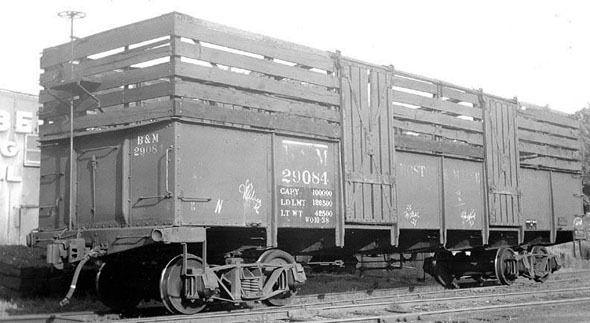 It is noted as a B&M car used in wood chip service but I am thinking with the large gaps between the boards it might be a pulpwood or maybe a tie car. EL 7113 F7B CR at Mechanicville, NY July 1976 Bruce Nelson photo. A nice addition to a scene if one models this area in the 1970's. A Tom Nelligan photo. Tom has allowed me to publish a handful of his images on this blog in the past. 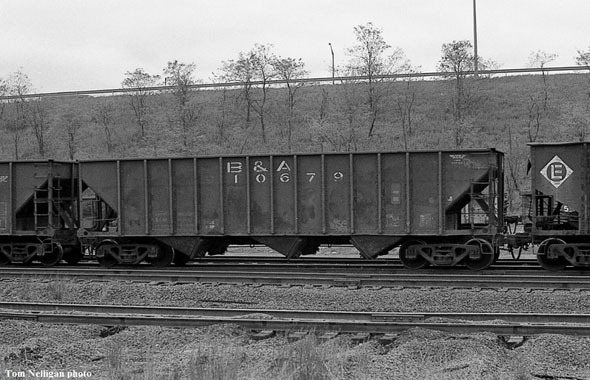 This one is a Boston and Albany car used in company ballast service during the Conrail era. 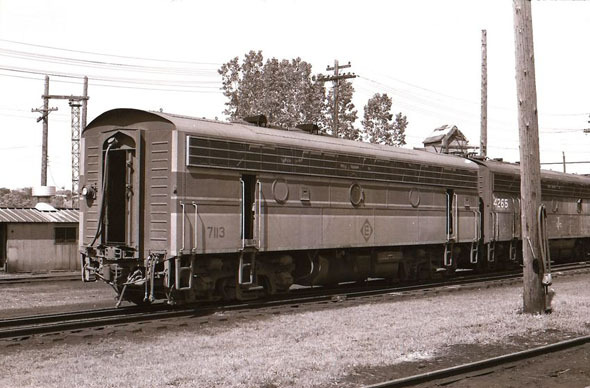 The ballast service cars merged into the NYC in the 1960's. This view is at Cedar Hill yard New Haven Ct. July 1985. 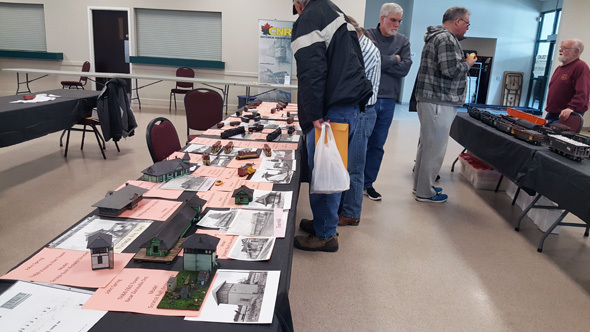 This is a model of the steel mill at the North end of Troy. This area today is just a weed covered field a few foundations scattered about. The red brick building in the right hand corner of the photo still stands and is a museum. 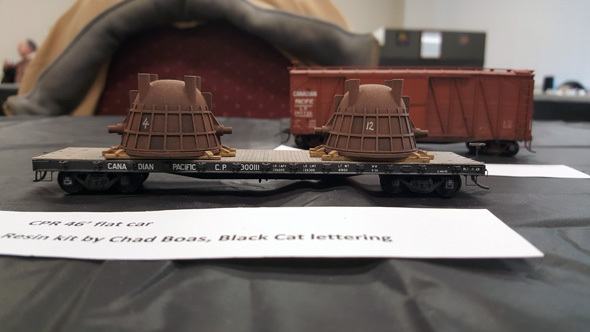 Last November when George and I attended the Model RR EXPO in Albany we took in some layouts on the Sunday after the show ended. 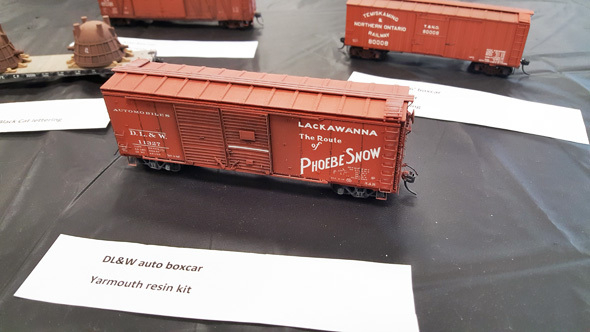 One of the highlights was a visit to the Rensselaer Model RR Club in Trot, NY. Although we did not know it at the time, it would be our last visit to the club as they were asked to vacate their location shortly after we were there. Hopefully they will be able to find a new location and rebuild an even better layout. 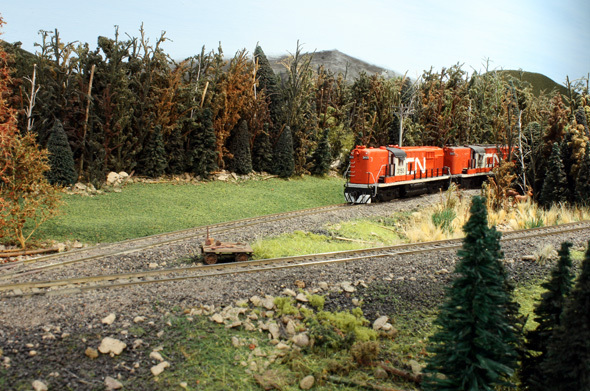 Over the years the club has created many great looking scenes based on prototype locations from around New England that they have worked into their fictitious railroad, the New England, Berkshire and Western RR. 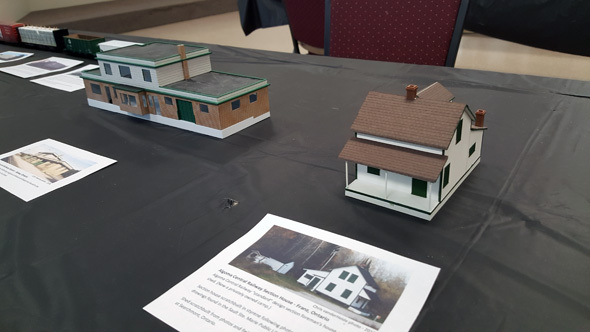 Most of the structures had to be scratch-built to match the prototype and the results are amazing. When we were there it was apparent that many of the older scenes were being rebuilt and freshened up after many years of dust buildup and everyday wear and tear. I am very thankful that I was able to visit this amazing layout several times over the years. It has always inspired me and has influenced many of the scenes I have tried to create on my own layout. The club has built a beautiful rendition of the Troy Union Station. This structure was torn down in the late 1950’s.
) State Line Tunnel is on the New York/Massachusetts border and was owned by the Boston and Albany RR, now the CSX. This is a very accurate rendition of the real tunnel.